A Customer Picks Up Your WordPress Plugin Or Theme & Ditches It: How To Handle Cart Abandonment? You’ve got your products ready, with a proper checkout in place and have customers visiting your premium WordPress plugins or themes online shop. They spend time checking out your products, adding some of them to their shopping cart only to abandon it without actually completing the purchase. The end of your relationship? Definitely not! In this article, I want to discuss the recurring issue of cart abandonment by prospects who might actually be in need of your WordPress solutions but for different reasons do not complete the purchase. I will also show you what ways are available to us, as WordPress product sellers, to automatically recover & win back a significant part of those lost carts, without investing much time or thinking about it too much. Have I mentioned it’s all automated? 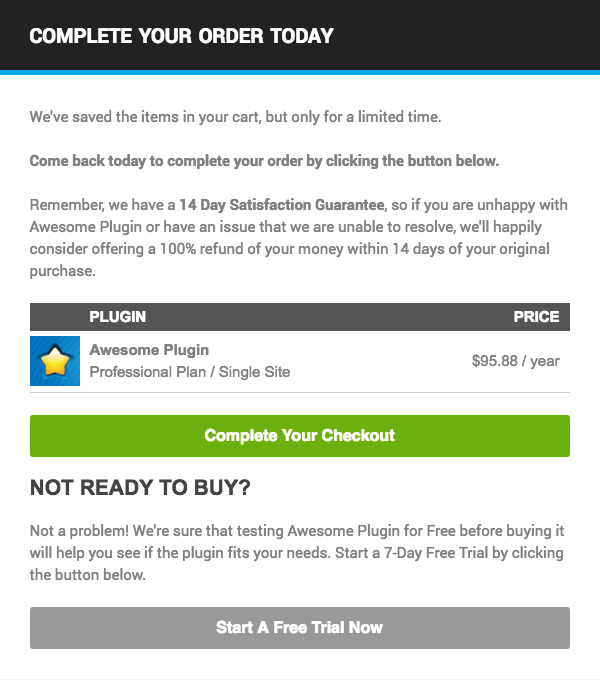 Why Do Users Abandon Your WordPress Plugin / Theme Checkout? It’s important to first understand what are the possible reasons that might drive your prospects to abandon their loaded carts. I was looking to buy a drone and had been doing my reading and online research for a few days. When I felt ready to buy I went to a certain quadcopter company website and added my drone of choice, as well as a few accompanying items to my shopping cart. As I was about to start the checkout I realized I still didn’t have all of the information I needed regarding the warranty and product care service this company provides for the longer term. Accidents happen and drones crash and get damaged, so I wanted to make sure this was covered in my country, too. Unable to find the info I needed, I decided to do some more research on external online forums, and have abandoned my loaded cart. According to this summary of 37 different cart abandonment studies, the average percentage of people who abandon their online carts stands on a whopping 69.23%! 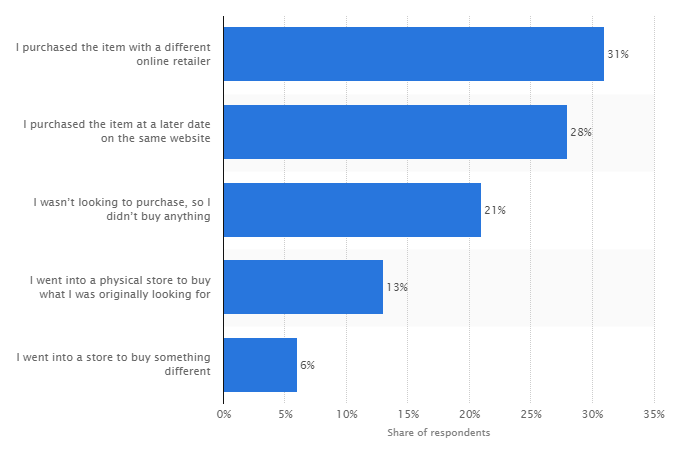 I guess my personal recent cart abandonment falls within the 17% of people who were “Conducting research to buy later”. So what can you do to reduce the number of people that abandon your cart mid-checkout, besides making sure all of the relevant shopper information is where it should be, or offer massive (unnecessary) discounts? Before I even get to why forced registration is annoying and how it is hurting your conversion rate, let me just say that asking customers to create a user account is completely unnecessary, because modern monetization solutions, like Freemius Checkout, incorporate the email address field as part of the checkout form and create the shopper’s account on the fly once the Purchase / Buy Button is clicked, without asking them to choose a password. Needless to say, I skipped leaving my comment there, because that is not how this works. If you want me to create an account, then this is not the right time to force me to do it. Registering a new user account (with a username, and email address and a password) just to be able to make a purchase is a big friction generator for shoppers, so please turn the mandatory registration off for your checkout process. While we’re staring at this short & sweet checkout form widget by Freemius, let’s not forget that this by itself is a significant advantage that helps eliminate friction during the checkout process. This simple form includes all of the necessary checkout information in one place, so customers can pay instantly, without being redirected away to complete the transaction, which helps achieve a higher conversion rate. Dividing the checkout process into several pages would allow for more opportunities for a shopper to abandon their cart. This form has also been optimized and stripped of any form fields which aren’t essential to make the sale go through. More fields may lead to more confusion, which in turn, leads to cart abandonment. I would say it is pretty much mandatory for you to let customers pay using various methods, rather than limit them to only one. If you choose to limit payment methods, you’ll be shooting yourself in the foot, because a shopper that does not see their preferred payment method supported will likely abandon cart. In fact, I would even dare suggest you consider adding an option to pay using Bitcoin (or other cryptocurrency systems). So now that we’ve gone through the different ways you can optimize your checkout process for maximum conversions and minimum cart abandonments we are in a better spot than we were before. However, as mentioned earlier, it’s unlikely you will be able to avoid all cart abandonments, as many of them just have to do with things that are beyond your control like people who are “window shopping”, comparing prices, saving items for later, exploring gift options, etc. The whole idea with a Cart Abandonment Recovery Mechanism is to win back those abandoned carts by trying to bring potential buyers back in, directly to where they left off so that they can complete their purchase in the smoothest manner possible. As a WordPress plugins or themes seller, you probably know that finding competitors who sell premium WordPress plugins online is not a very difficult task, and I’m not even going to mention the over-saturated premium themes’ market. In other words, customers looking to purchase WordPress plugins or themes will usually be able to easily find premium alternatives. The good news though is that cart abandoners are among the most qualified leads you’re going to get, and you get a second chance at nudging them from a mental state of “not sure” into a decisive “yes!”, all through the simple magic of the automated ‘Cart Abandonment Recovery Email’ campaign. I.e., a personalized email campaign which is automatically triggered in the case of a cart abandonment event. Why Does The Cart Abandonment Recovery Campaign Work So Well? Why do many choose to try to recover abandoned carts using automated emails? Abandonment emails have a 40.7% open rate (nearly twice that of “regular” marketing emails). Over a quarter (26.7%) of clicks on those abandonment emails result in a conversion (purchase) back on the site. Cart recovery email campaigns have such high success rates because they are aimed at visitors that have already demonstrated an intent to purchase (your second chance!). So with this high percentage of engagement and conversion rate that stem from cart abandonment recovery emails – it’s a no-brainer. 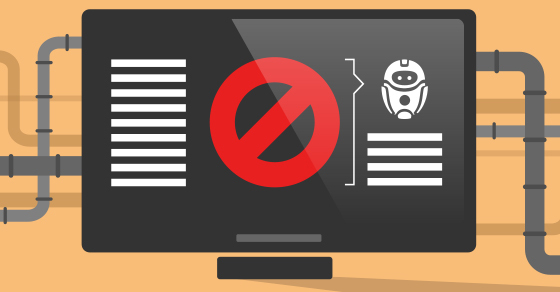 Freemius had recently developed and released a fully-featured Cart Abandonment Recovery mechanism, which is included in the service and works automatically out-of-the-box. This means that, if you monetize with Freemius your cart abandonments are automatically (re)covered! It should be noted that the Freemius Cart Abandonment Recovery Mechanism comes at NO additional cost to developers who monetize their WordPress products with Freemius. Technically speaking, once an email address is captured, a 60-minute countdown begins. If the visitor completes their checkout within that time frame, Freemius marks them as a ‘completed checkout’ and takes no further action. 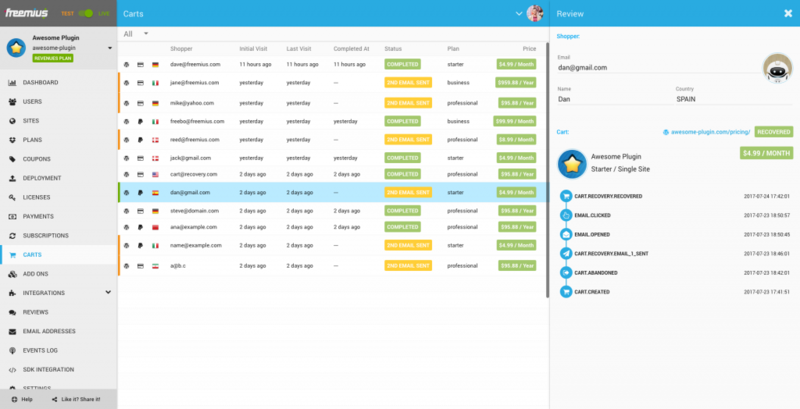 But, if the visitor does not complete their purchase inside the 60-minute mark Freemius triggers an automated email campaign designed to bring them back to your site (or their WP Admin) to complete the purchase. Freemius went with a proactive approach which captures the details the shopper enters as they are typed, allowing for maximum personalization of the Abandoned Cart Recovery email: an email is obviously sent to the address the shopper had entered, and their full name is used for extra personalization. Why? Because personalization works. 1st Recovery Email – Sent 60 minutes after the last checkout visit. Will include the actual cart content, as well as your Refund Policy, if you have set one. 2nd Recovery Email – Sent 24 hours after the checkout was initiated. Will include the cart content, your Refund Policy, as well as an alternative option to start a Trial, if you offer one (proven to increase conversion rate). 3rd Recovery Email – Sent three days after the 2nd recovery email. Will include the cart content, your Refund Policy, a discount code, and an alternative option to start a Trial. It’s easy to see that the Freemius recovery email campaign has been optimized for a high conversion rate, attempting to bring the shopper back in and complete their purchase, each time introducing another element which may aid our persuasion efforts. You can easily track how each visitor interacts with your checkout process, as well as their engagement with the automated cart recovery email campaign. Taking the necessary detailed steps to optimize your checkout process for maximum conversions will help you experience fewer cart abandonments by your shoppers. However, as mentioned earlier, it’s unlikely you will be able to avoid ALL cart abandonments, as many of them are related to factors for which you cannot optimize. For that, online sellers of WordPress plugins and themes depend, just like everyone else, on an efficient (and automated) cart abandonment recovery mechanism to bring those customers right back to where they left off, and help them complete their purchase. There’s no doubt that this method works; it’s just a matter of incorporating it into your sales funnel, and when you monetize your WordPress products (plugins or themes) using modern solutions, such as Freemius – the cart abandonment recovery mechanism comes built-in.